It's a testament to Arma 3's depth as a military simulation that it gives players so many vehicle options when staging battles. But it can also be tricky to figure out the most effective way to use vehicles and infantry together, given that complexity. 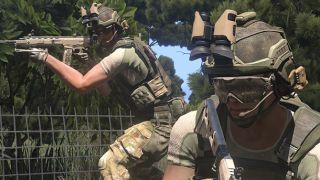 Thankfully Arma 3's latest official community guide has our backs. The combined arms tutorial above is the latest in an ongoing series from Andrew Gluck aka Dslyecxi , an Arma player in the ShackTactical community. In his usual low-key style, Gluck goes over many of the various possibilities for role-based warfare and tactics. "Armored support is best employed to defeat comparable enemy threats, or when infantry needs significant overmatch capabilities to accomplish their mission," Gluck says in the video. "In short, it's better to bring heavier guns than the enemy whenever possible. Armor must be carefully considered against the capabilities of the enemy. If the enemy has numerous anti-tank guided missiles, it might be better to hold back friendly armor until those missiles can be neutralized by friendly infantry." As we noted in our review , the most spectacular and defining aspect of Arma 3 is its massive scale. Finding the best way to come to terms with gigantic maps like Altis —through the smartest use of infantry and vehicles together—must surely be one of the keys to victory.